Backed by our immensely talented and dedicated technicians, we offer Electrical & Electronics Services. The technicians use latest technology and methodology to find solutions for the queries of the clients. We are offering relays of RE-300,RE-400,RE-500 at a competitive price. We are one of leading dealers of Auxiliary Relay operating from, India. 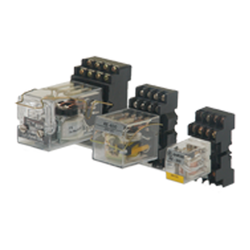 Our quality Flasher Relay meets all the national and international quality standards. These Relays are widely used in installations of railway signals and offer flashes with a rate of 40 to 60 per minute.